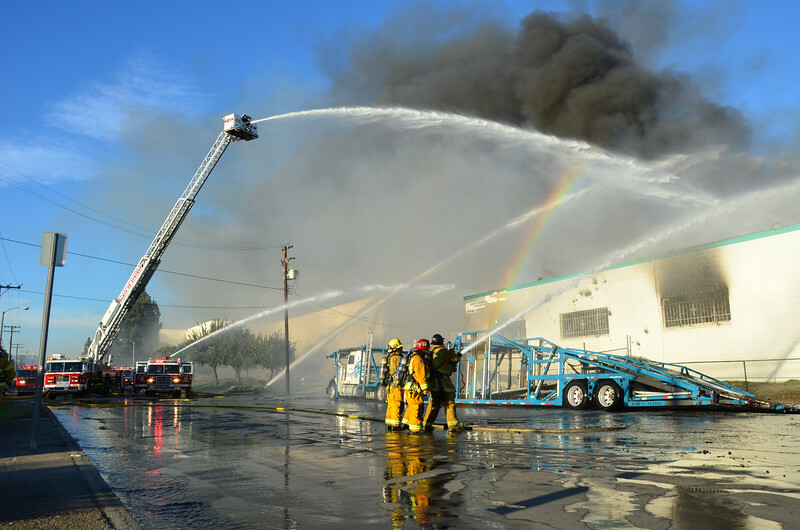 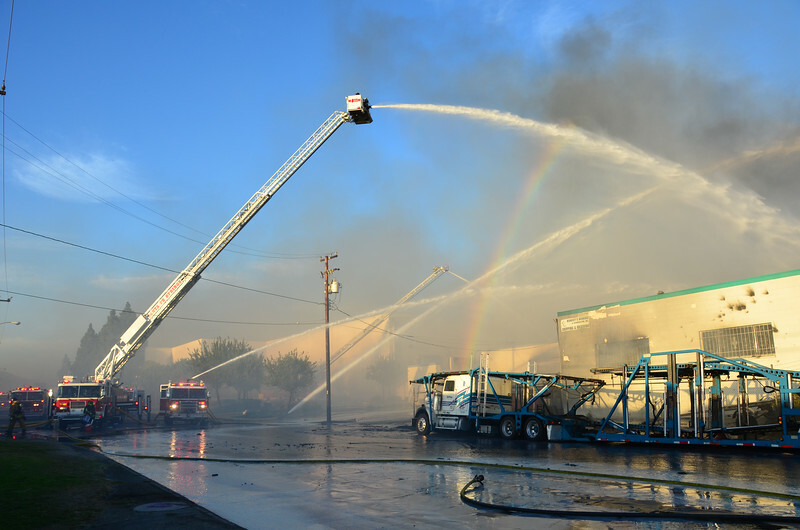 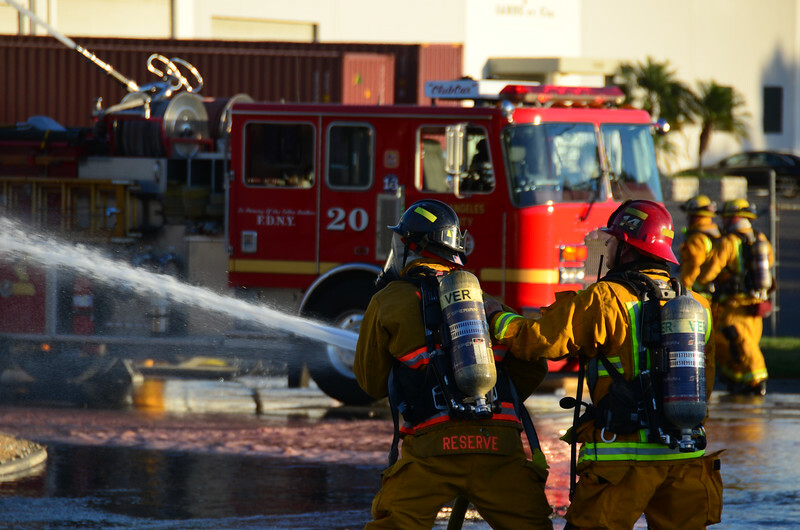 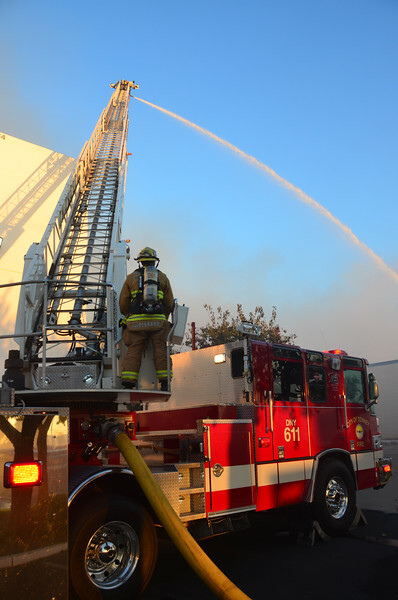 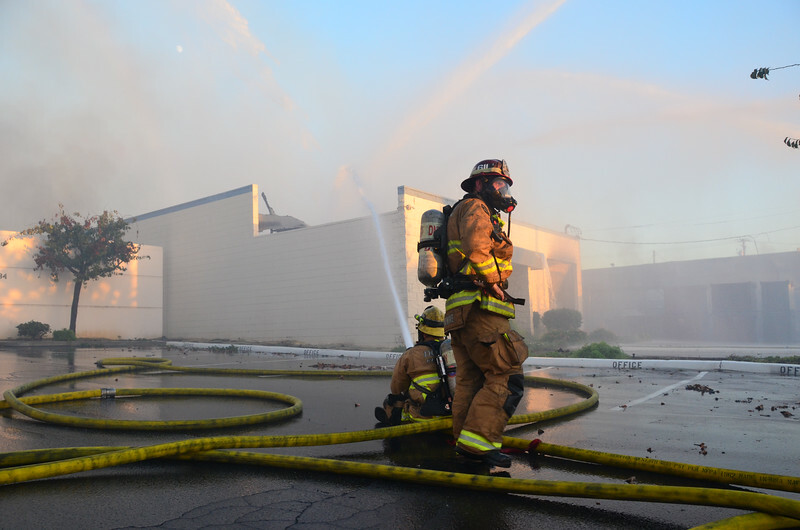 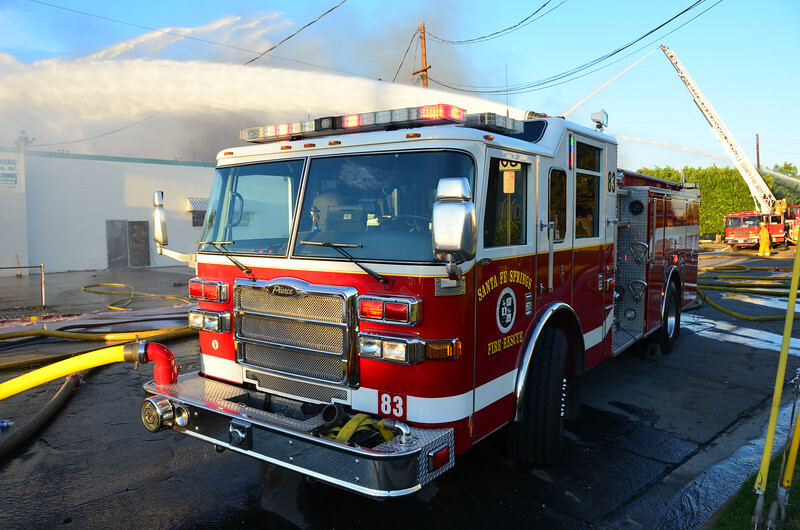 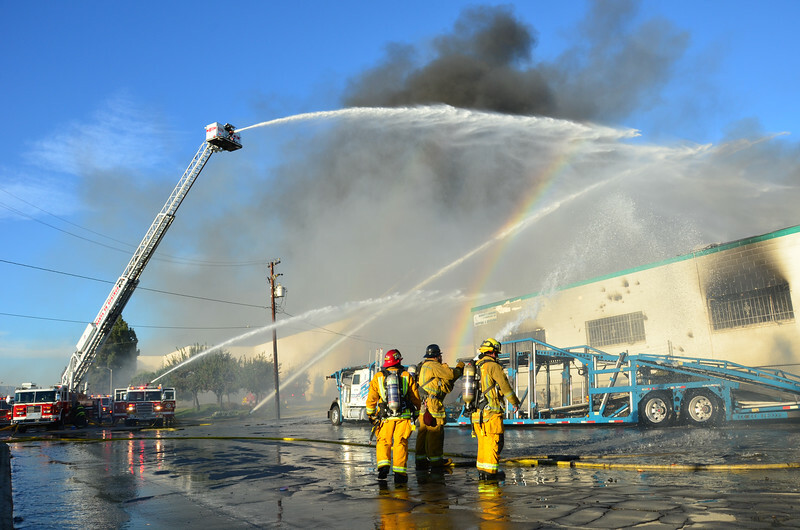 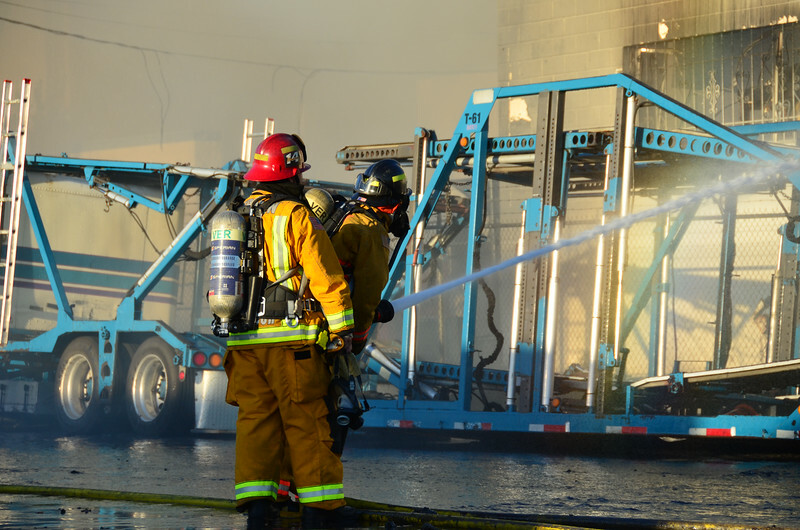 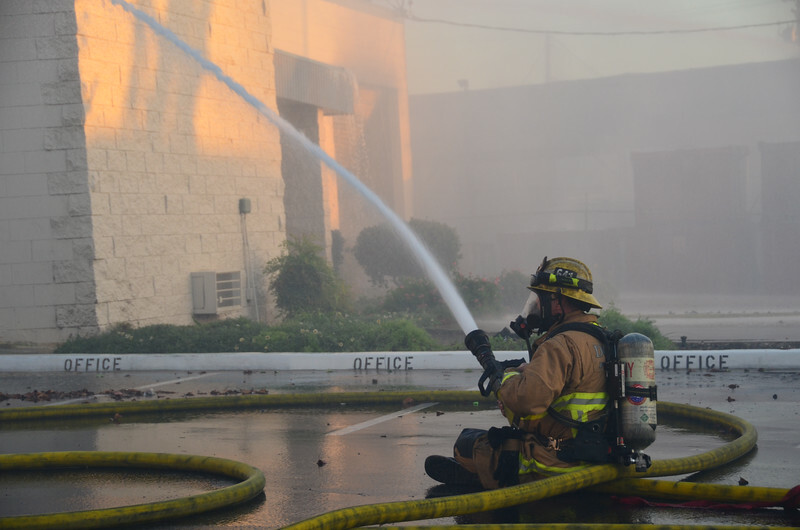 10/4/14: 4th Alarm Commercial Structure Fire, 12903 Sunshine Avenue (Santa Fe Springs) 1 story (150x50) epoxy coating company (B.D. 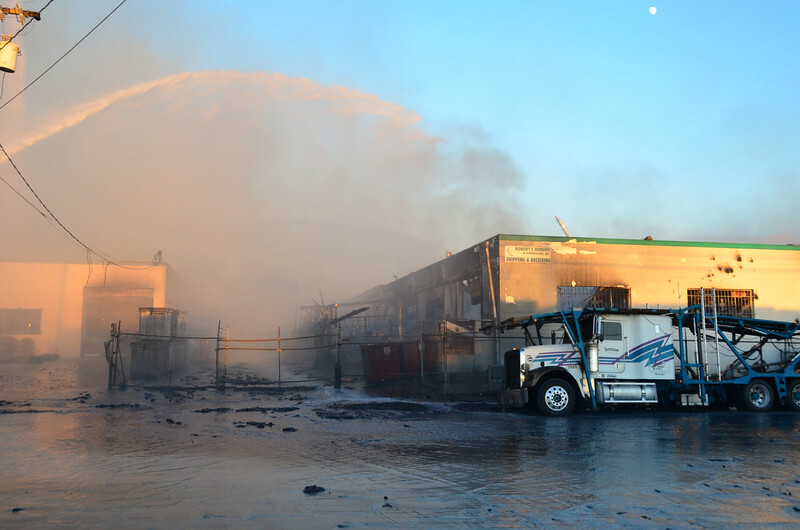 Classic Enterprises) and rear storage yard fully involved. 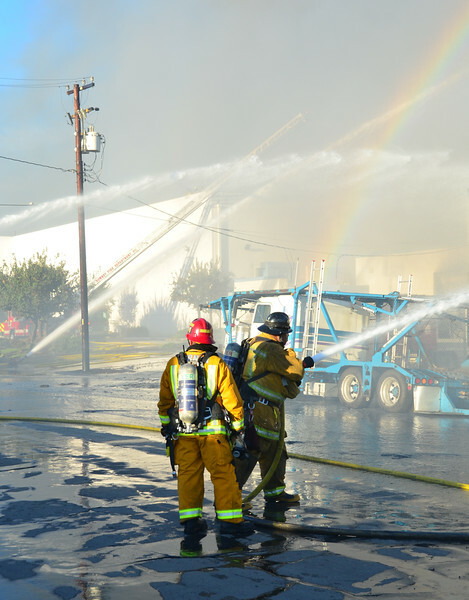 Fire extended to detached exposures "D" paint company (Life Paint Co.) and "B" machine shop (Robert’s Honing and Gundrilling Inc.). 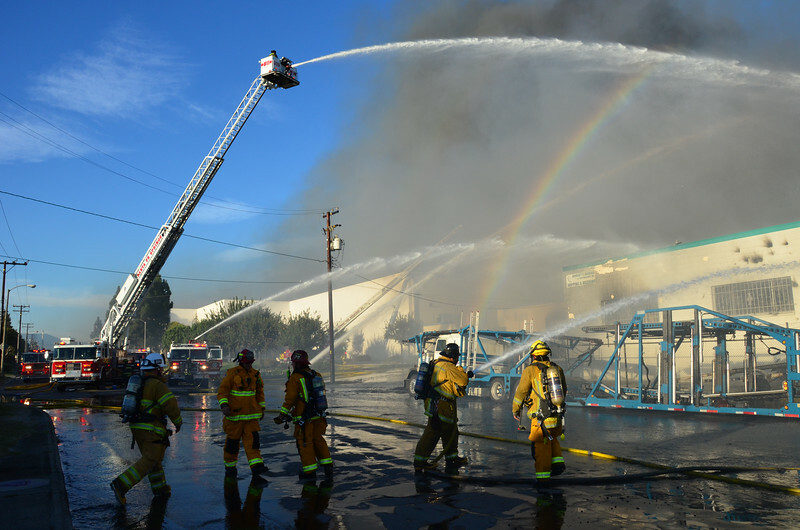 A total of 5 structures were involved. 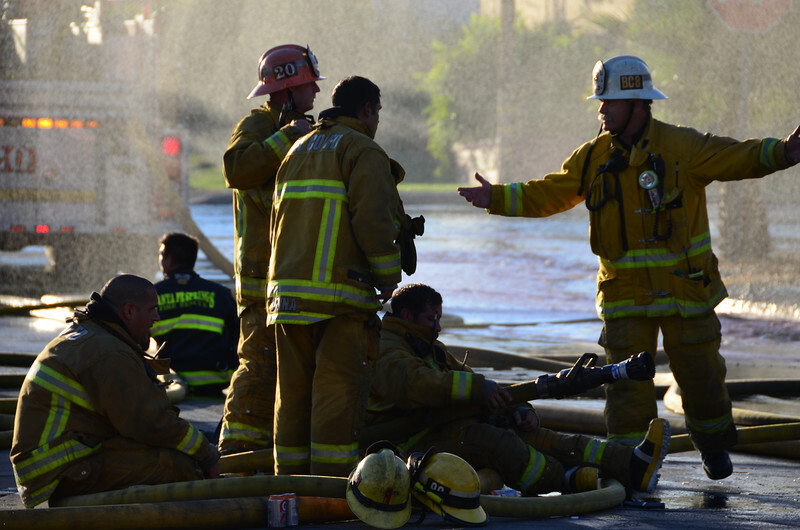 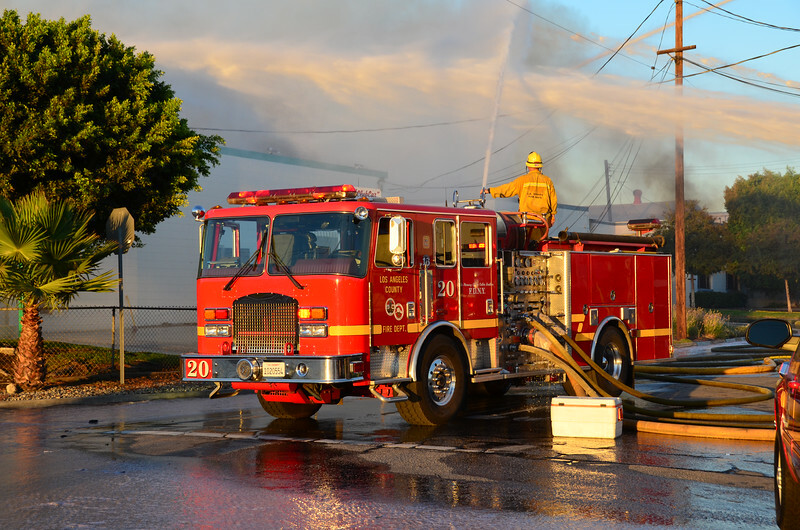 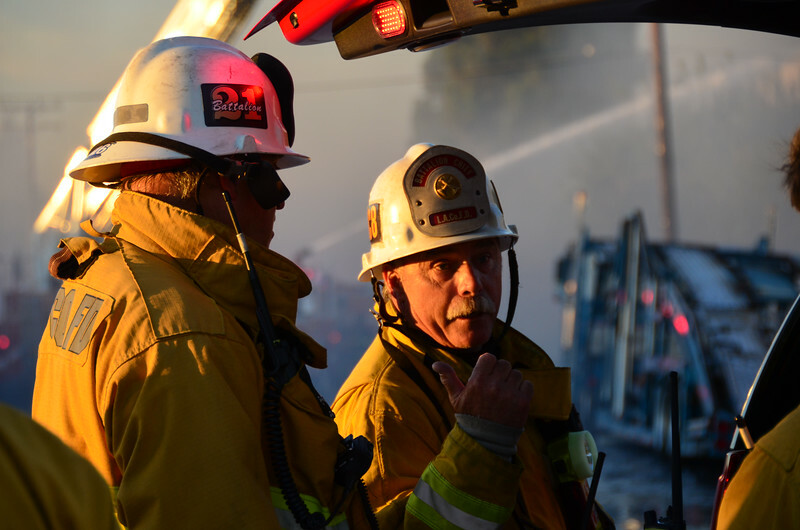 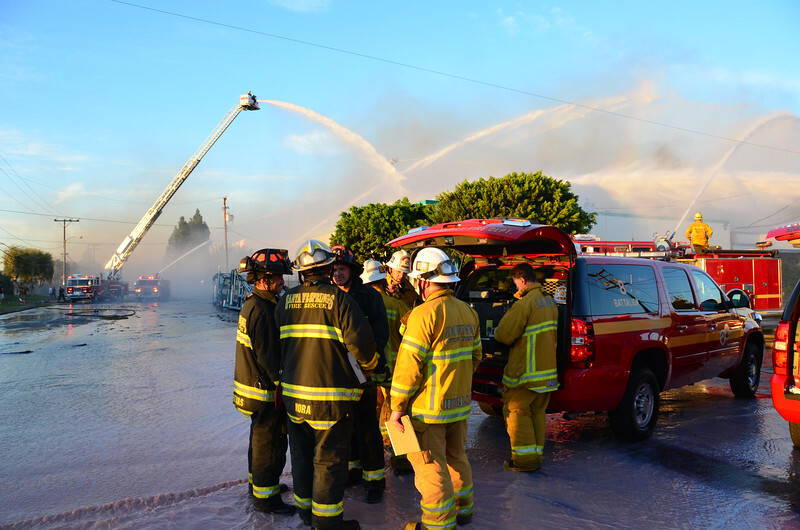 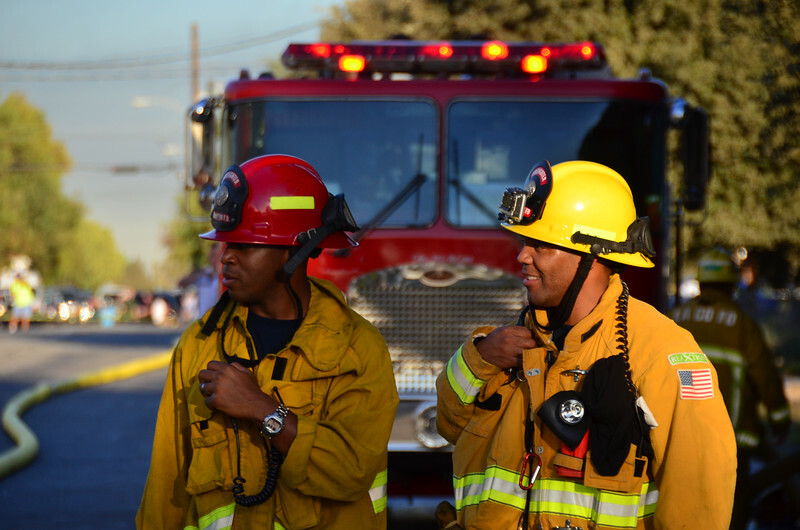 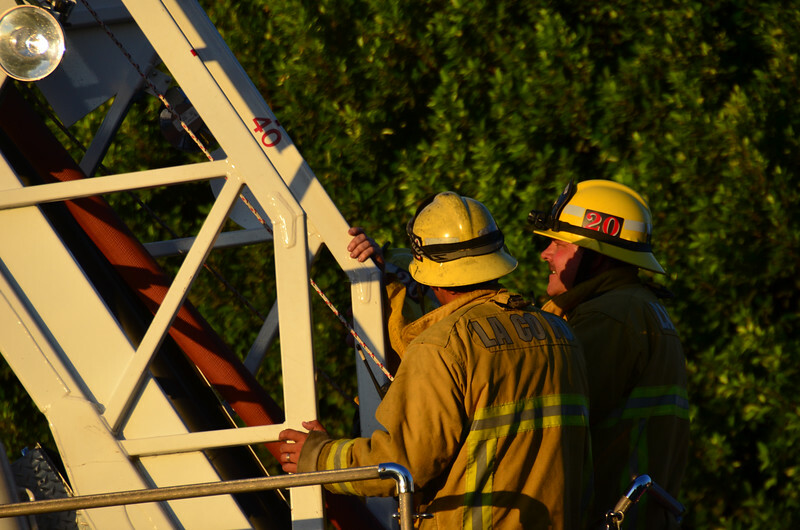 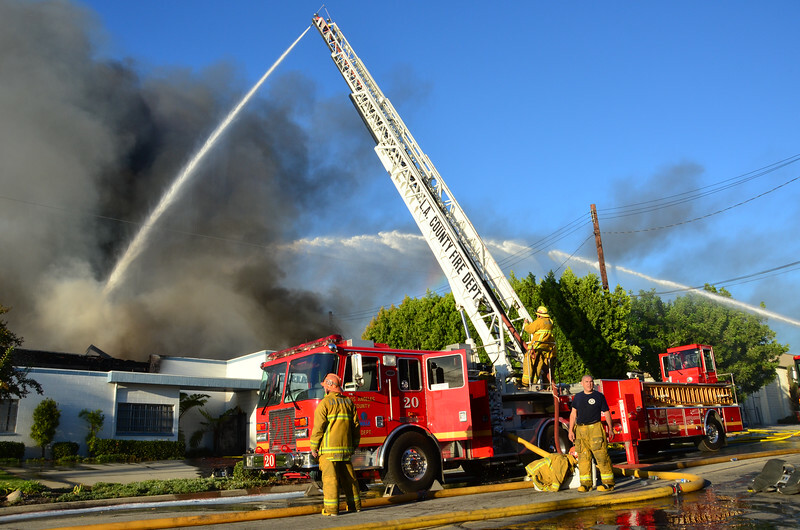 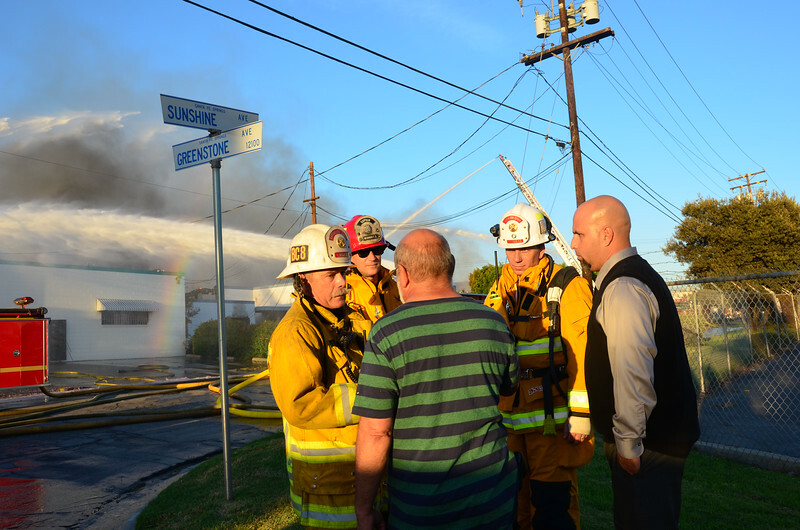 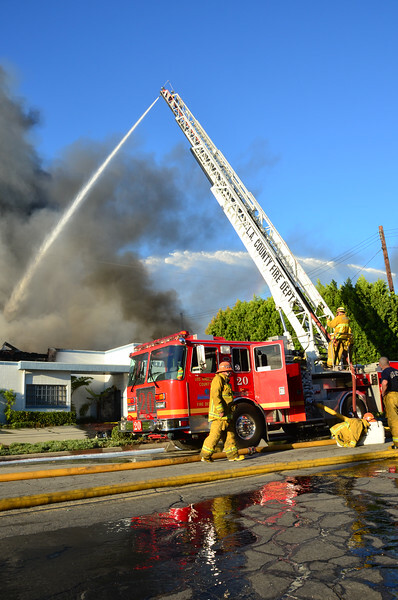 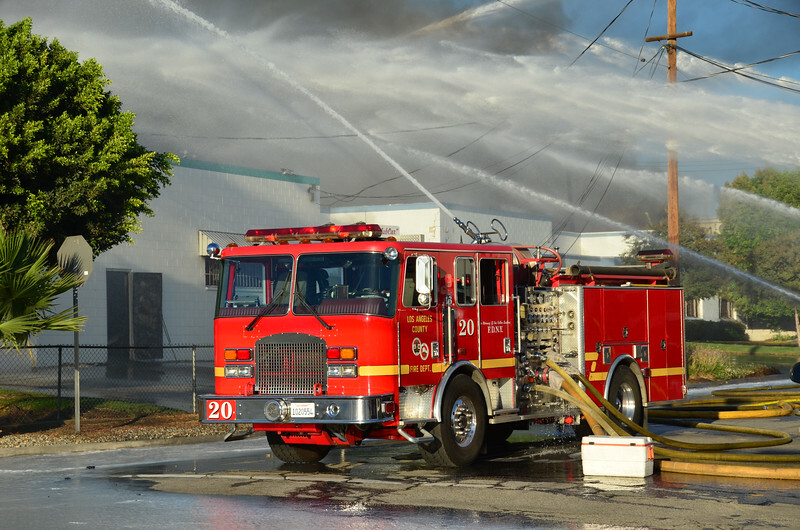 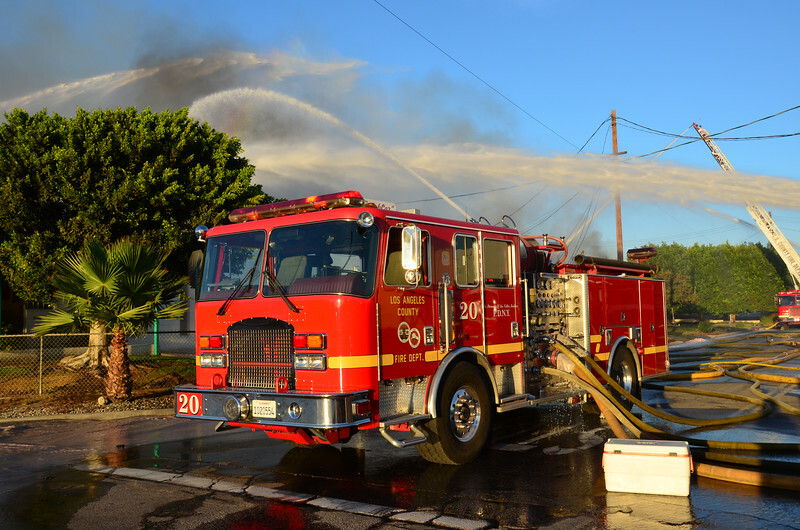 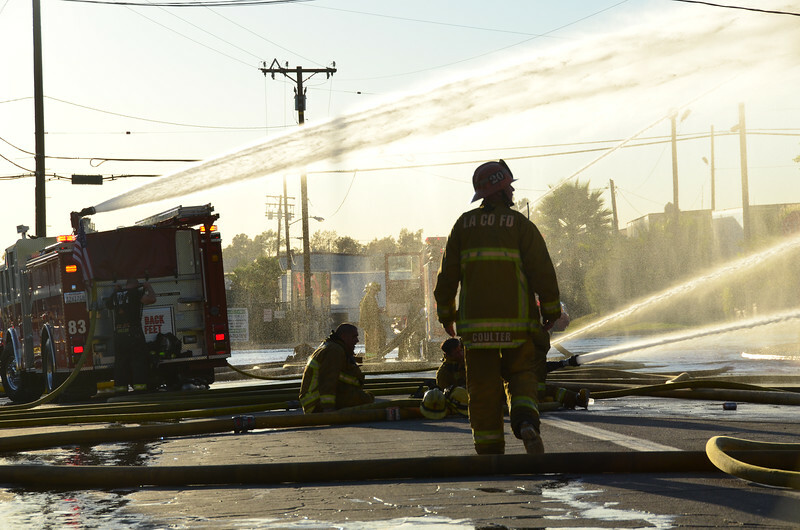 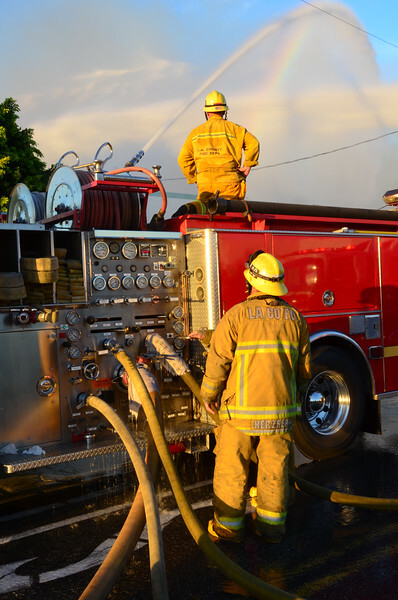 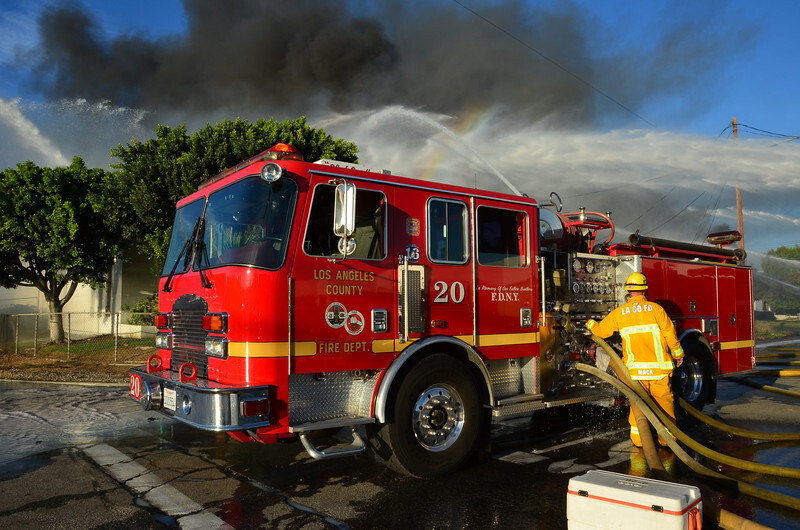 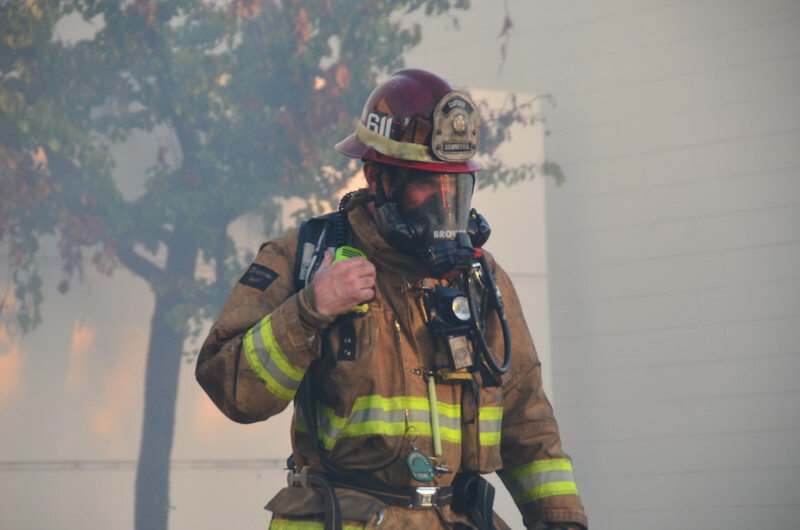 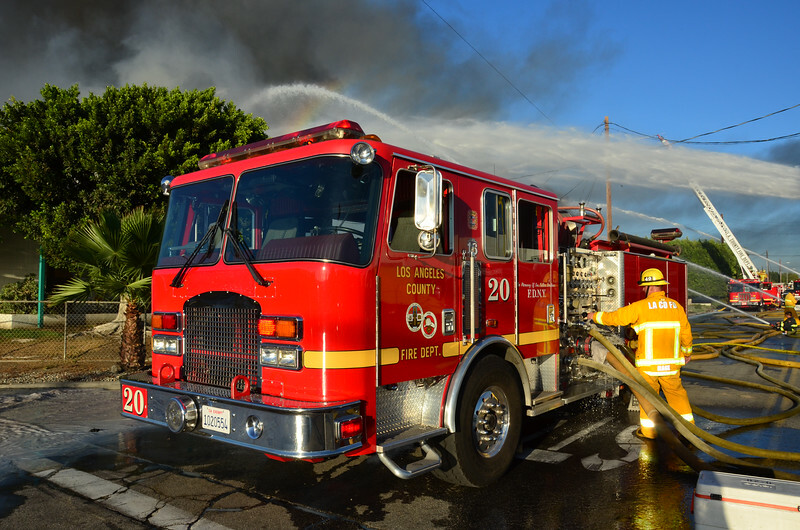 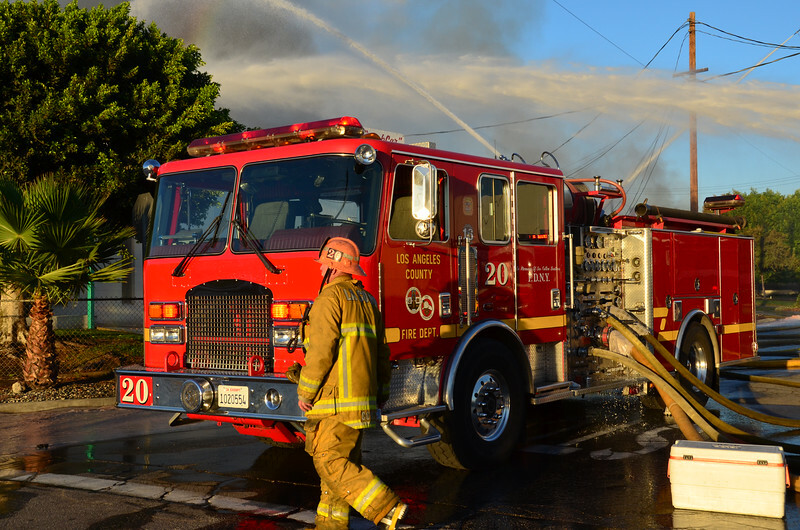 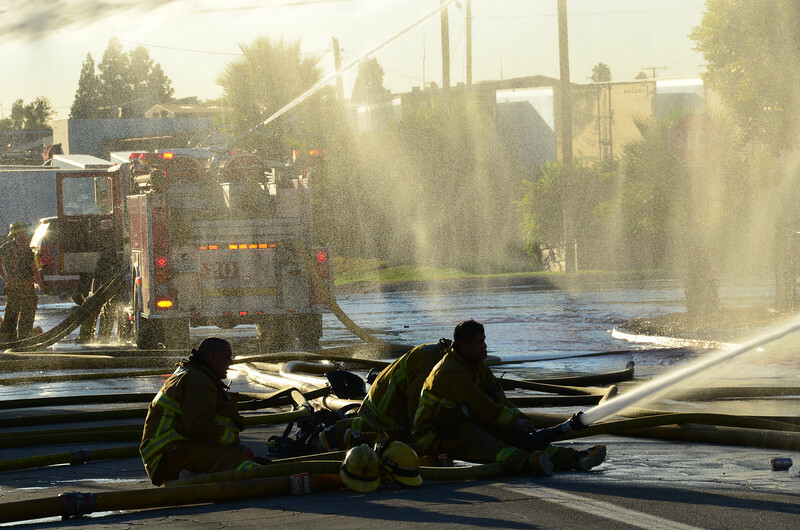 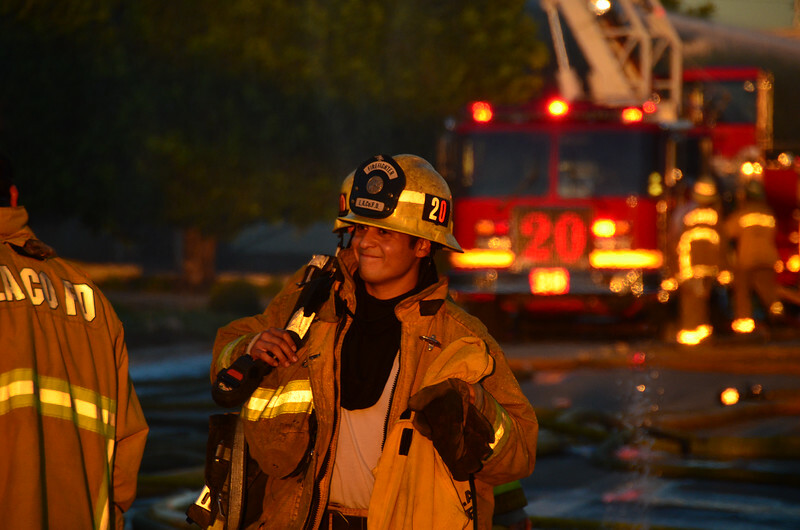 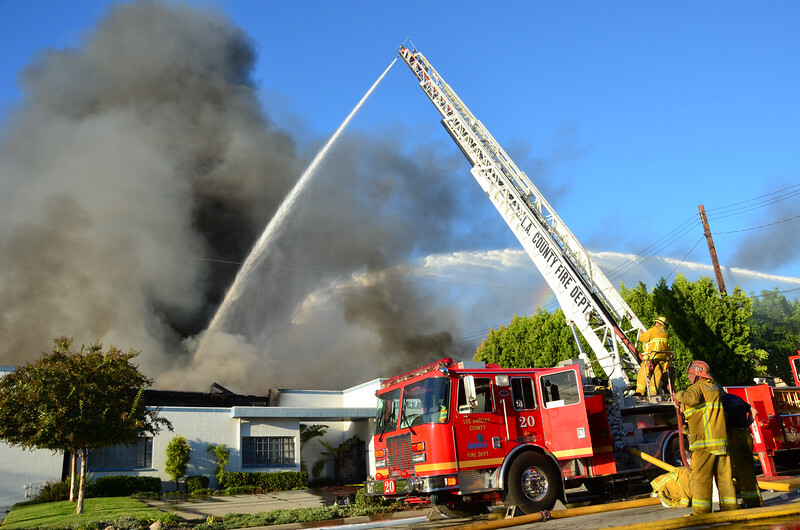 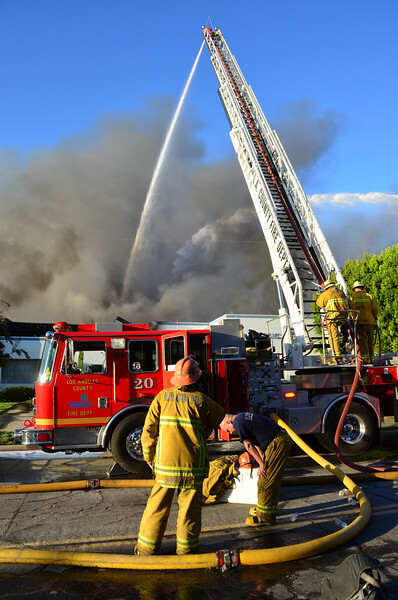 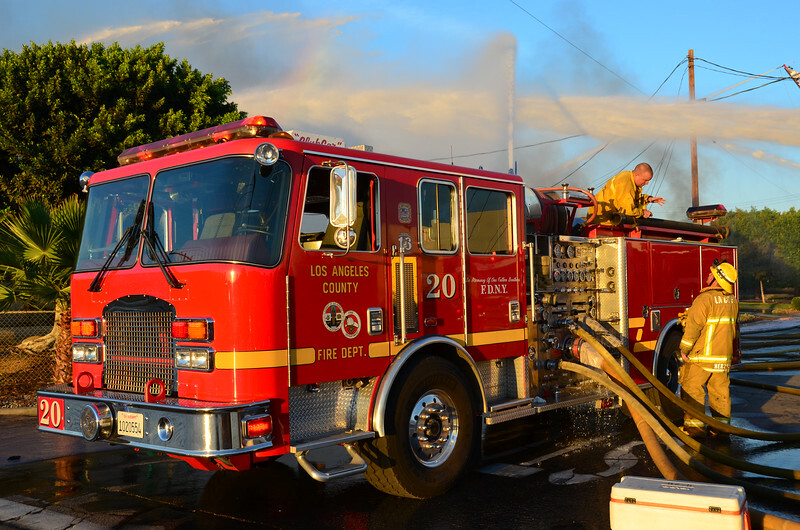 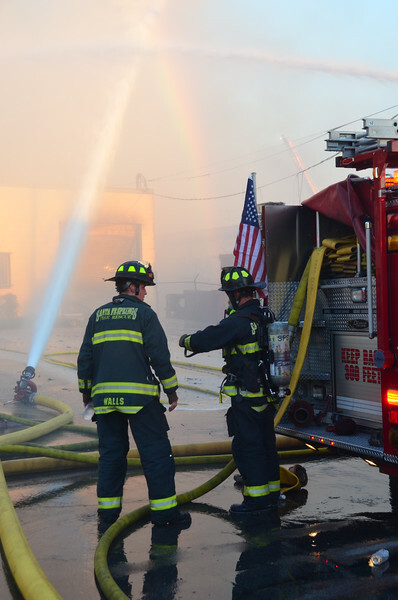 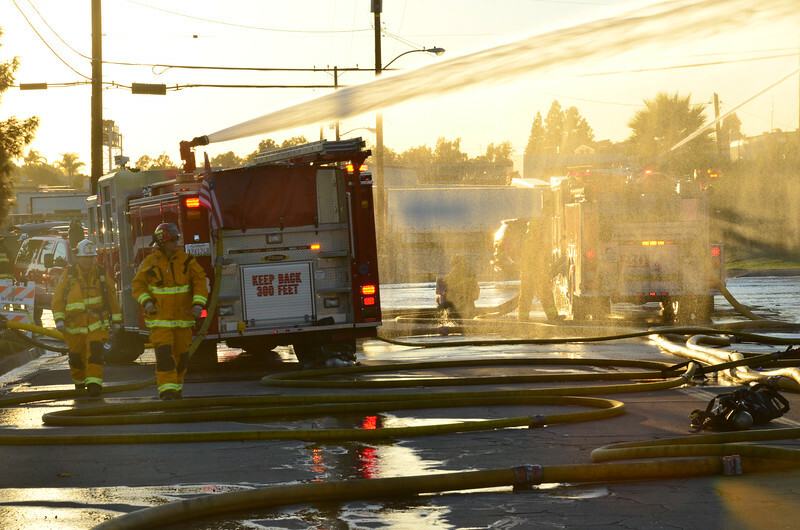 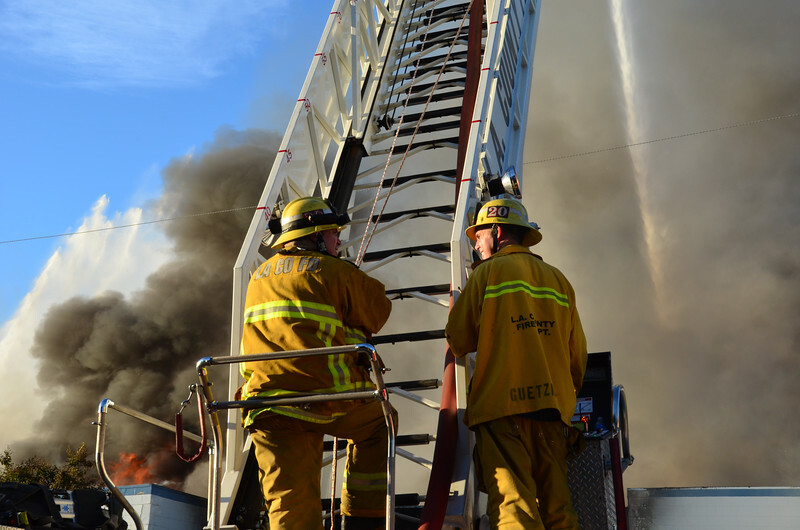 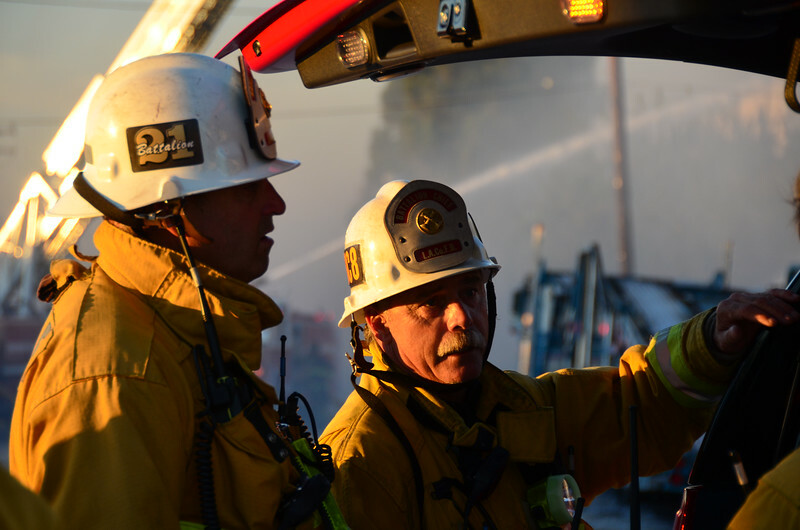 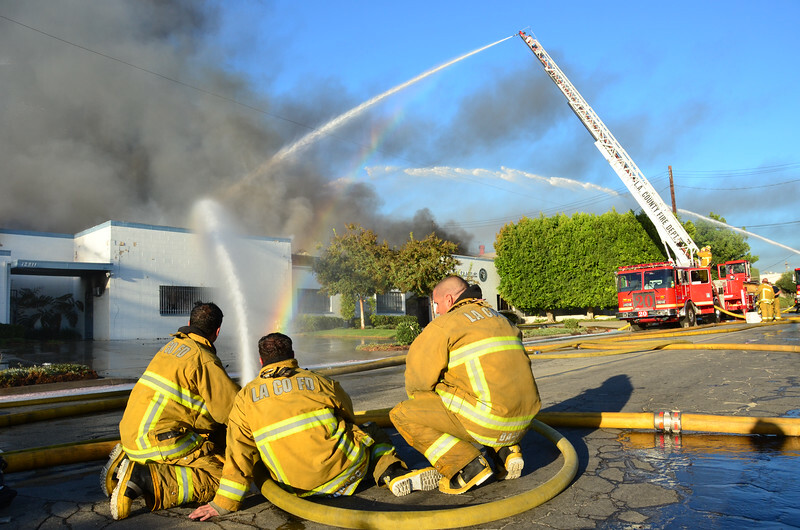 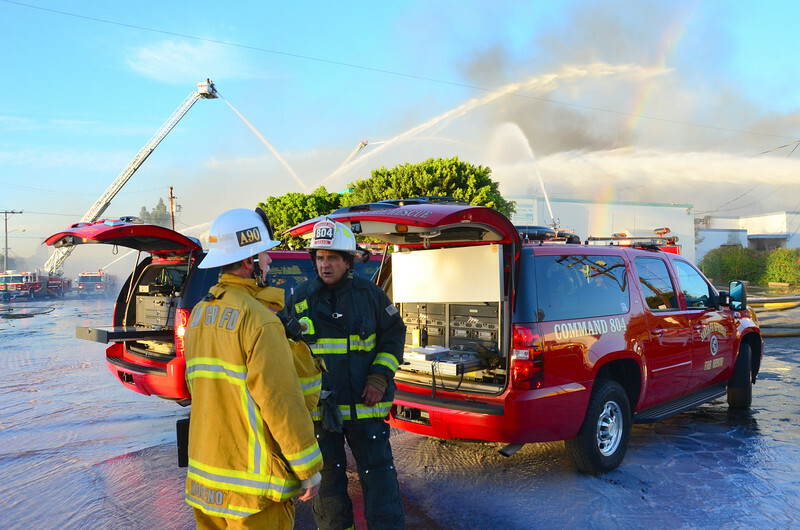 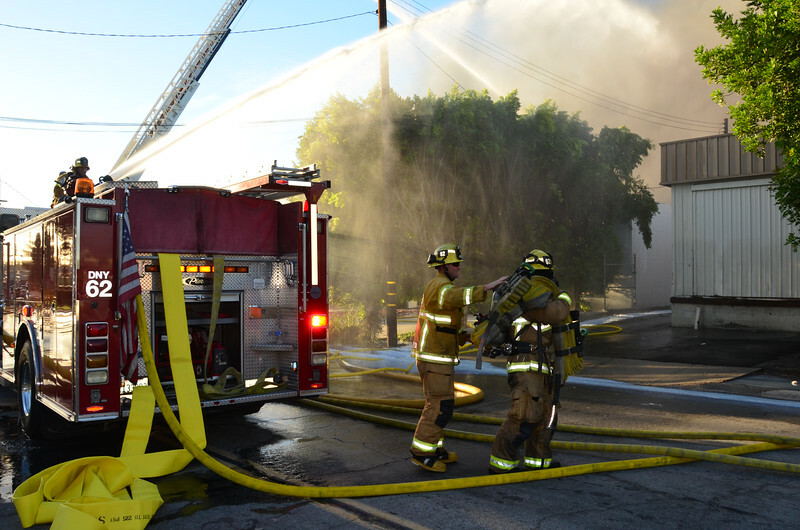 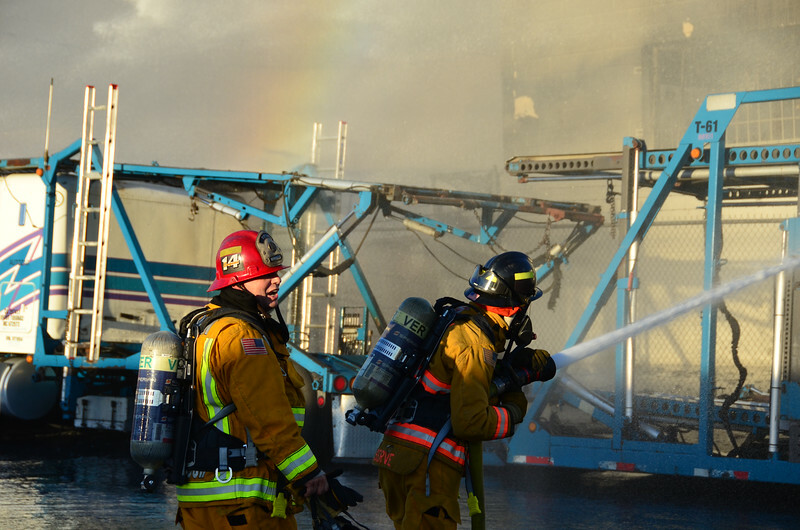 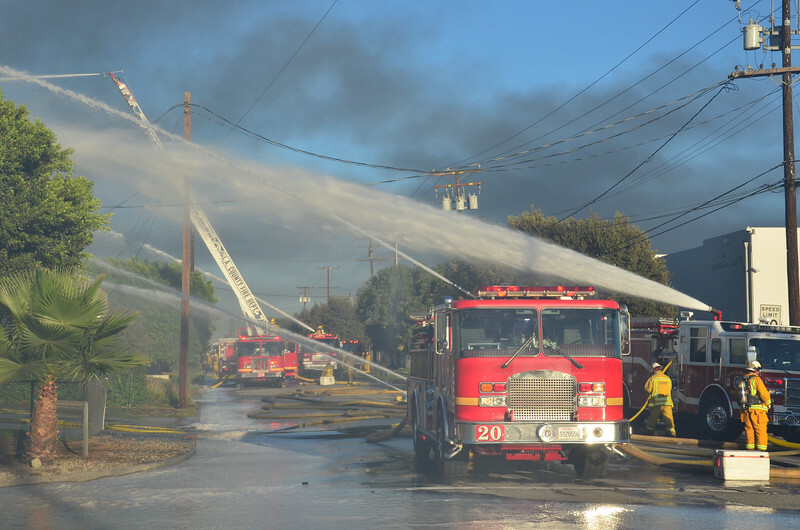 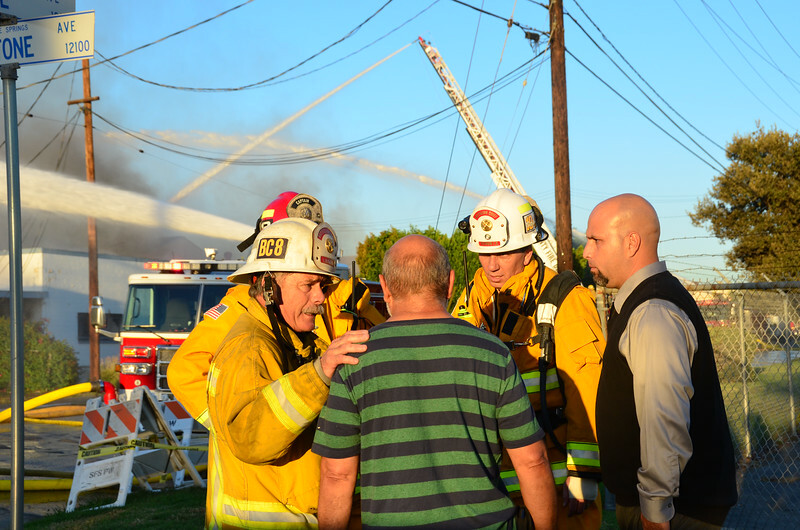 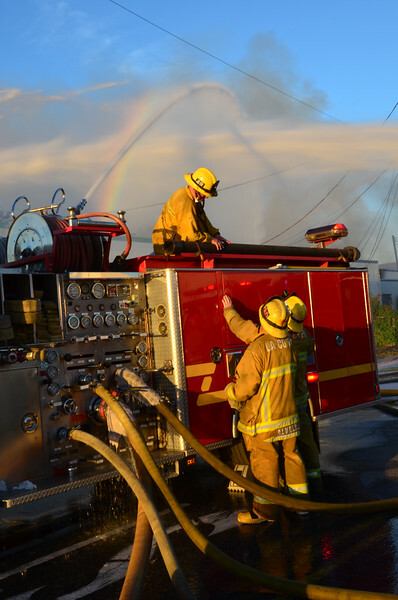 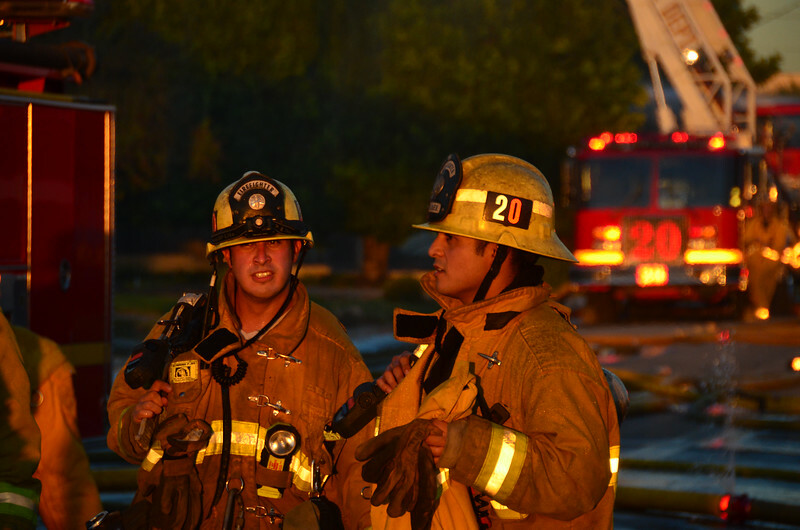 Firefighters from the Los Angeles County, Downey, Compton and Vernon fire departments assisted Santa Fe Springs. 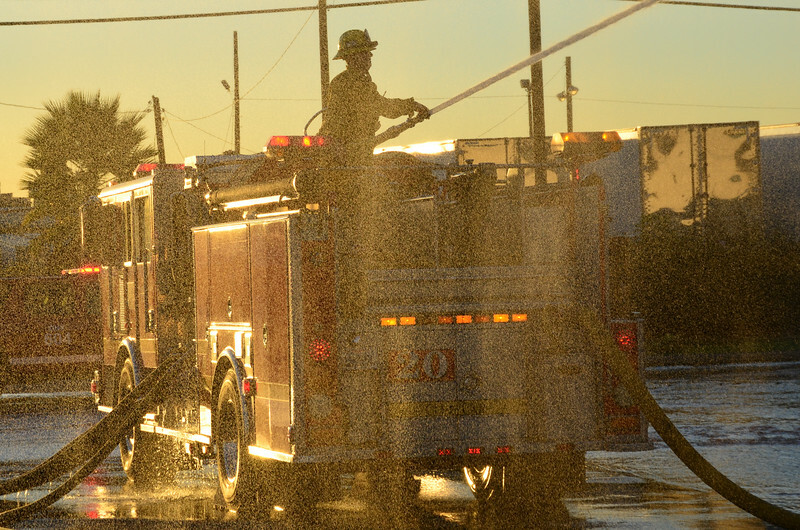 Time of alarm approximately 16:10 hours. 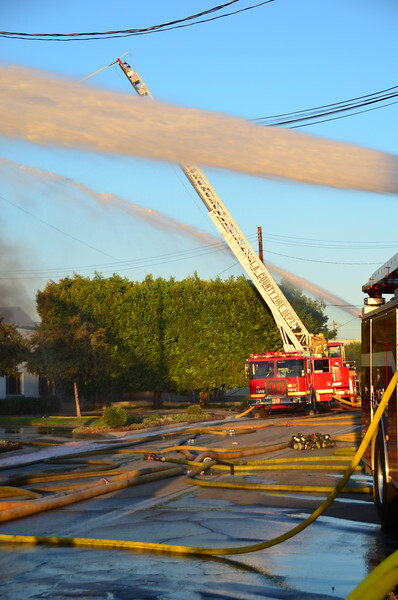 Knockdown in approximately 4 hours.